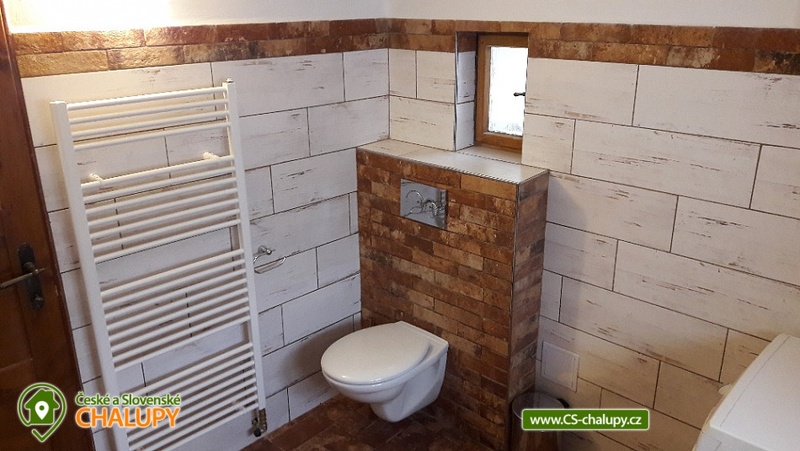 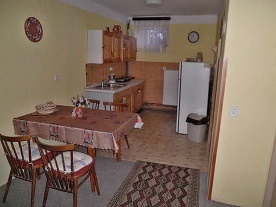 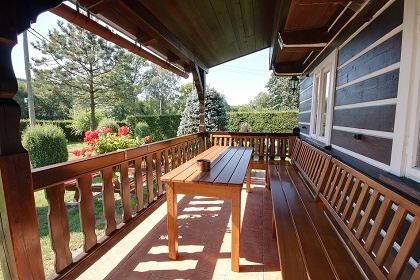 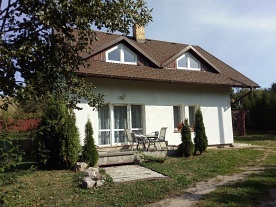 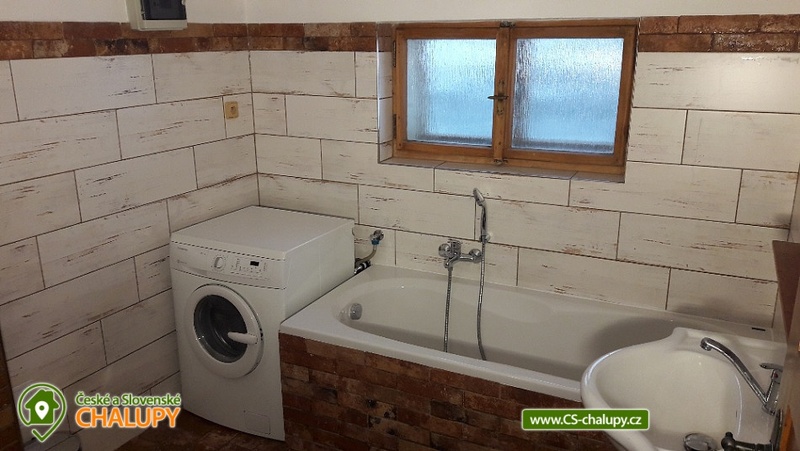 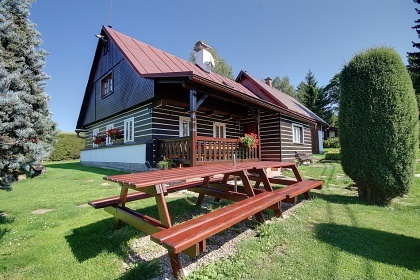 Rental cottage Kocmíd - Sedloňov. 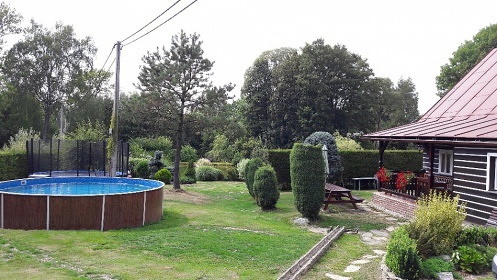 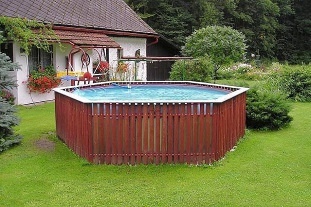 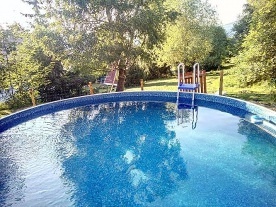 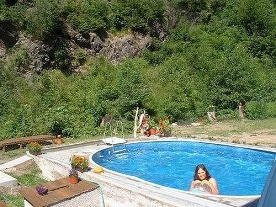 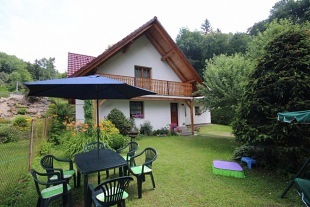 Accommodation cottage with a swimming pool in the Orlické Mountains PLA. 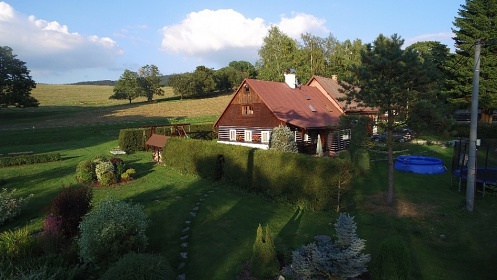 Our cottage lies almost at the end of the mountain village of Sedloňov, about 4 km from the village Deštné v Orlických horách. 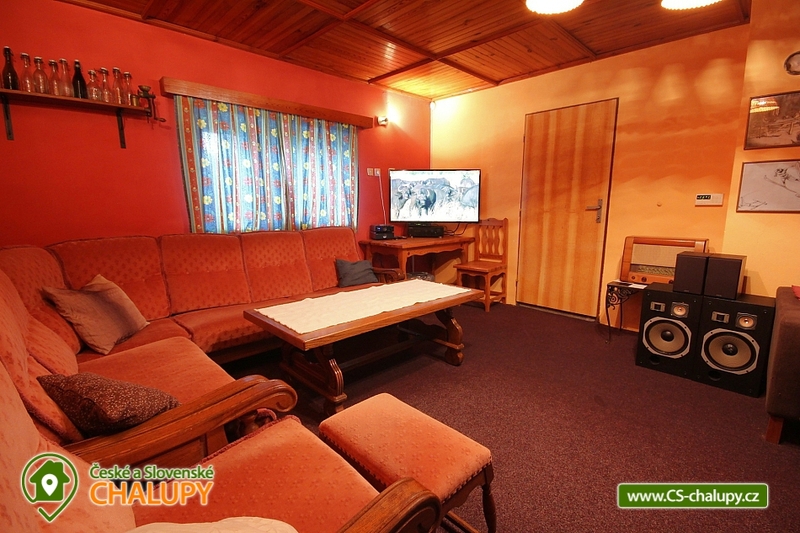 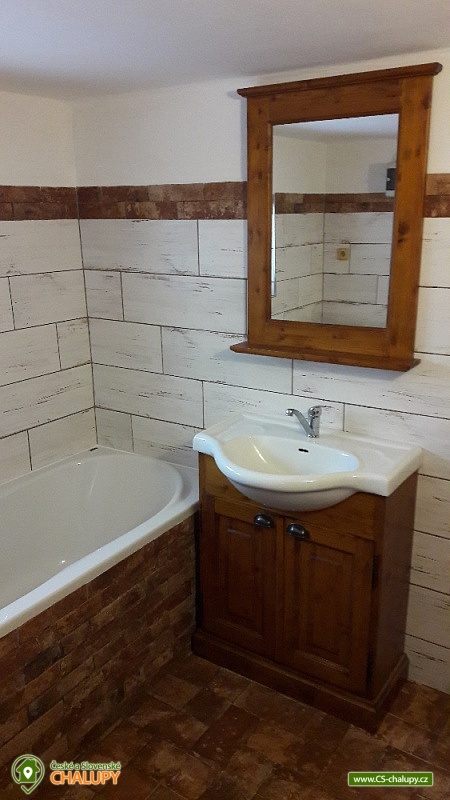 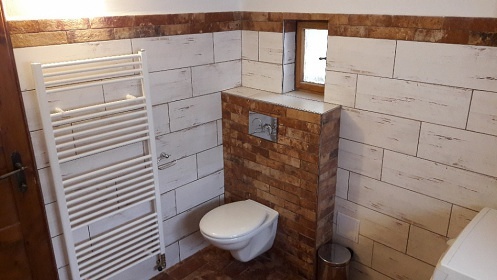 On the ground floor of the cottage there is a covered veranda with seating area, entrance hall, spacious dining room with kitchen, massive dining table and benches, first bathroom with bath (another two bathrooms with shower are on the floor), lounge with sitting area and TV. 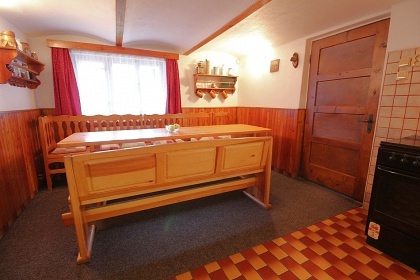 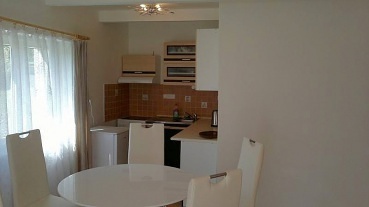 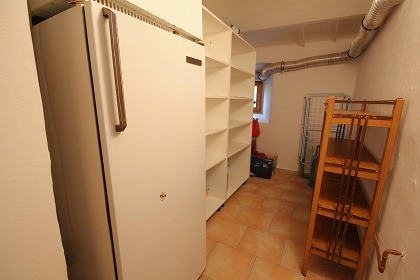 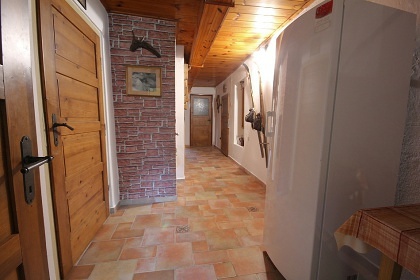 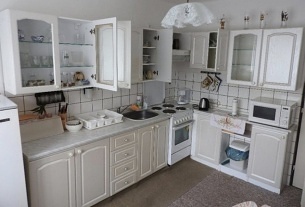 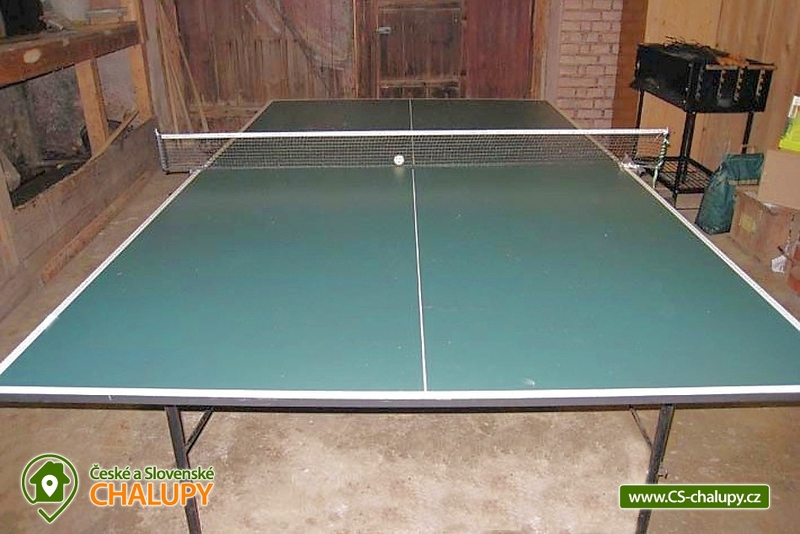 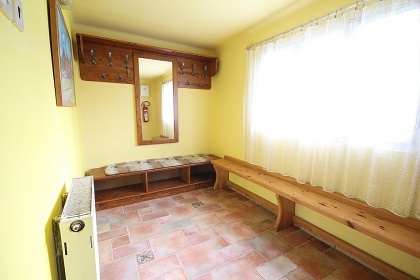 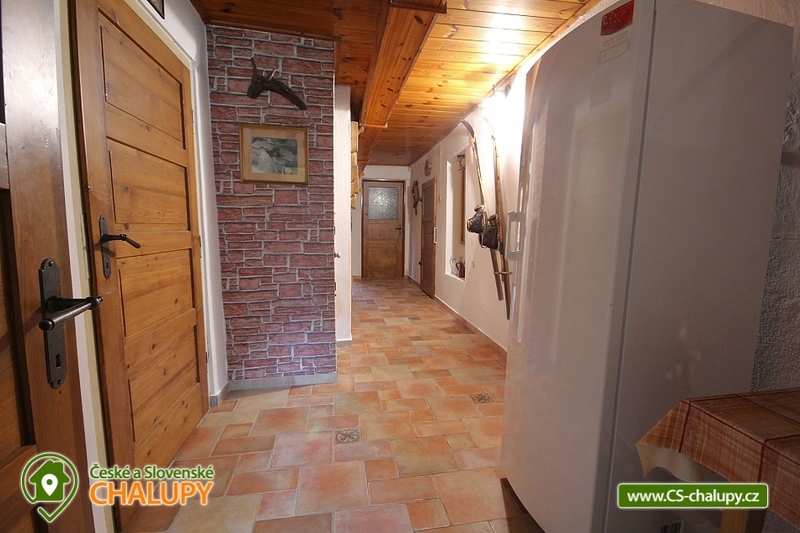 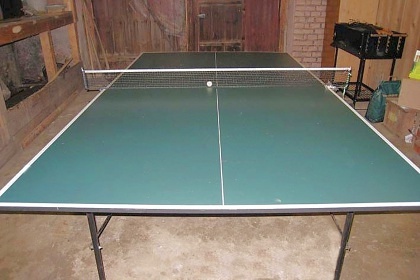 There is also a farm on the ground floor, where there is a table for table tennis or it is possible to park the car after agreement, on the ground floor 1 double room. In the attic there are another four rooms and two bathrooms, all after total reconstruction. 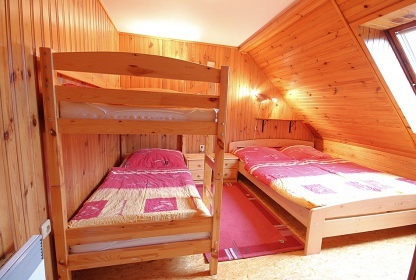 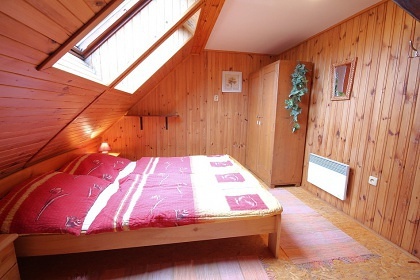 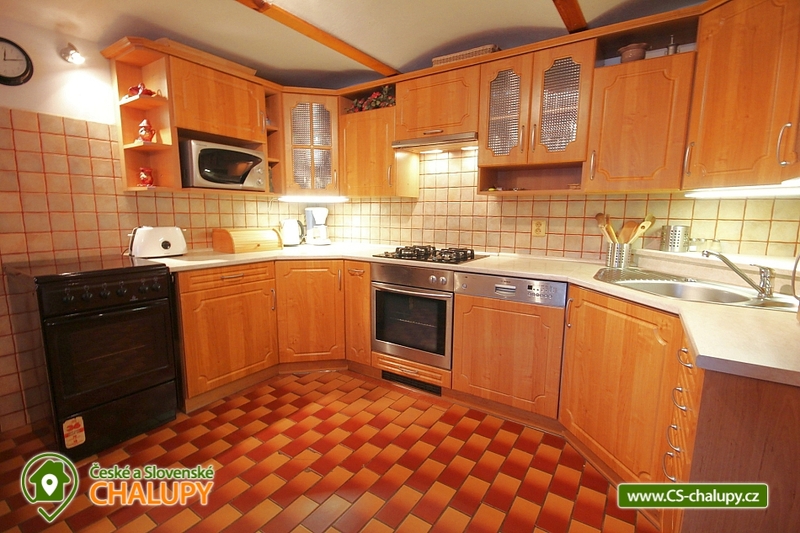 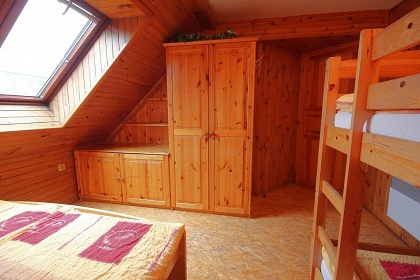 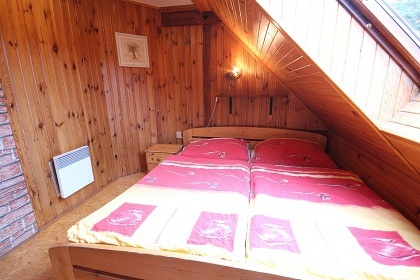 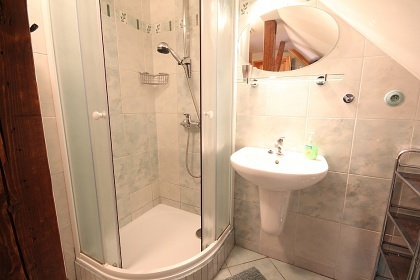 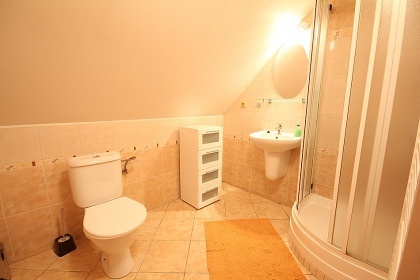 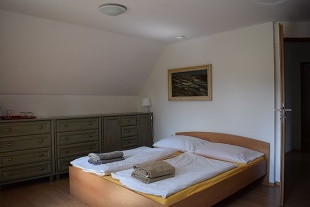 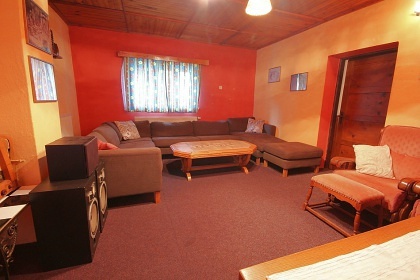 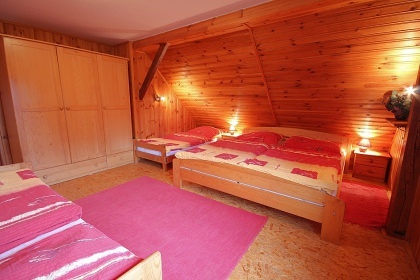 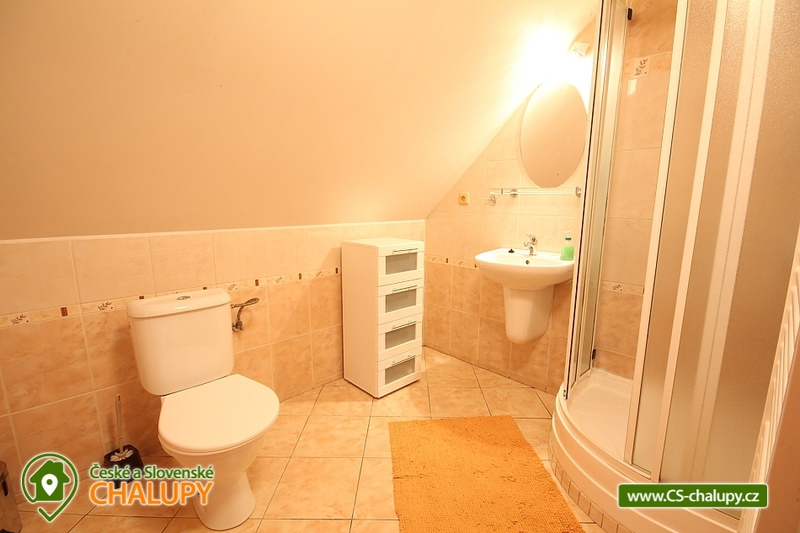 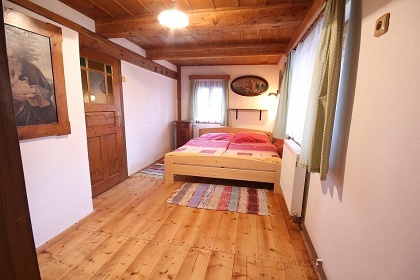 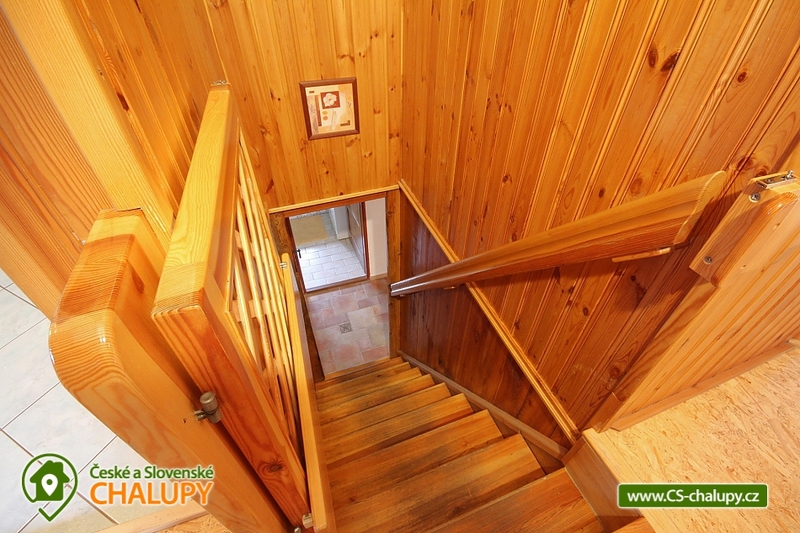 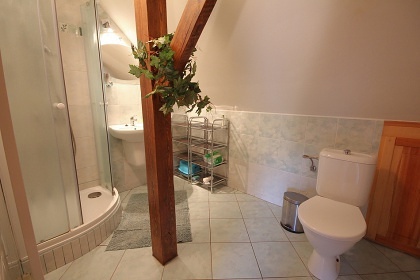 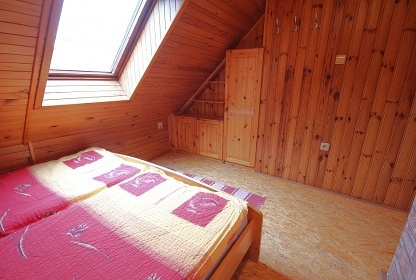 The attic is a quadruple room with an extra bed (pull-out bed with a mattress) with separate bathroom and toilet. 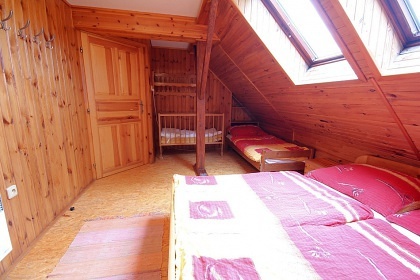 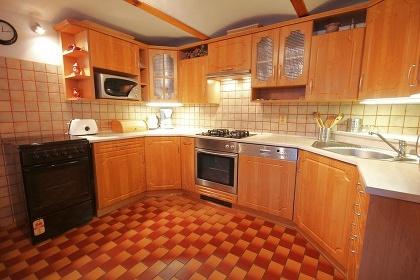 In the attic is another quadruple, one triple and one double room. 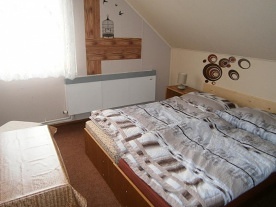 Available cot. 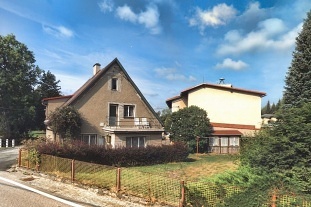 Directly on the parking lot for up to 5 cars. 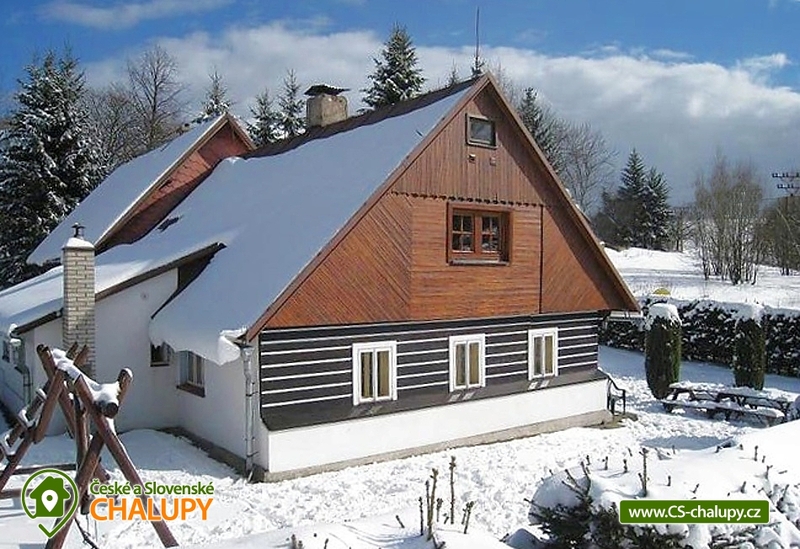 In the object of central heating - electric boiler in combination with direct heating. 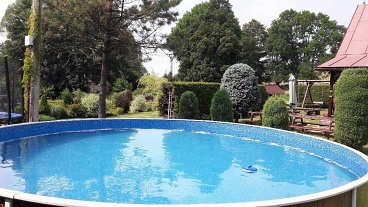 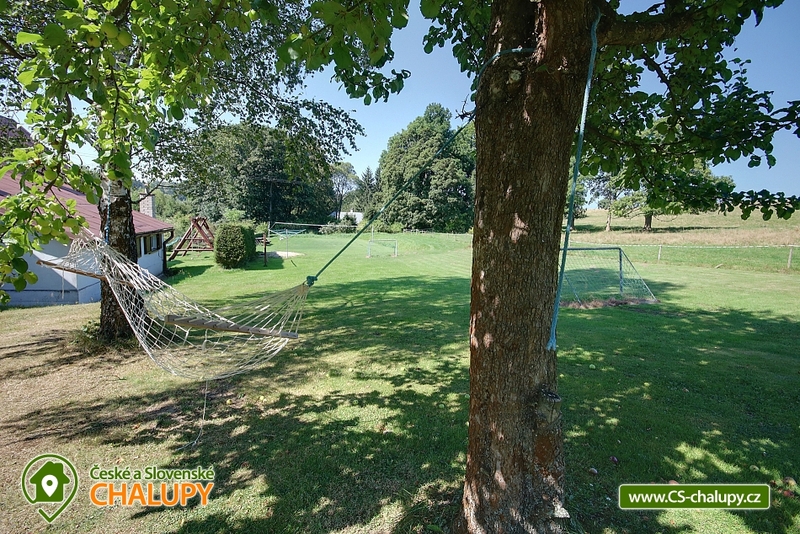 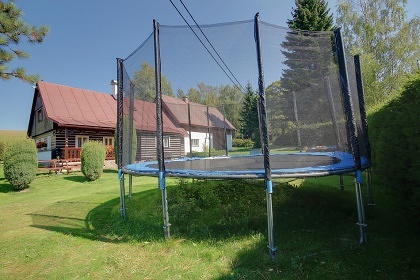 In the garden there is an overground pool with filtration, volleyball / football field, outdoor sitting, trampoline with protective net - 5 m diameter, swings, slide, hammock, garden furniture, fireplace, portable garden grill, sandpit. 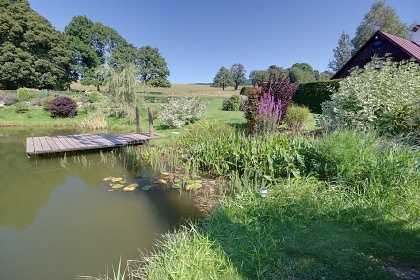 A 2.5-meter high hedgerow is planted around the garden to provide perfect privacy. 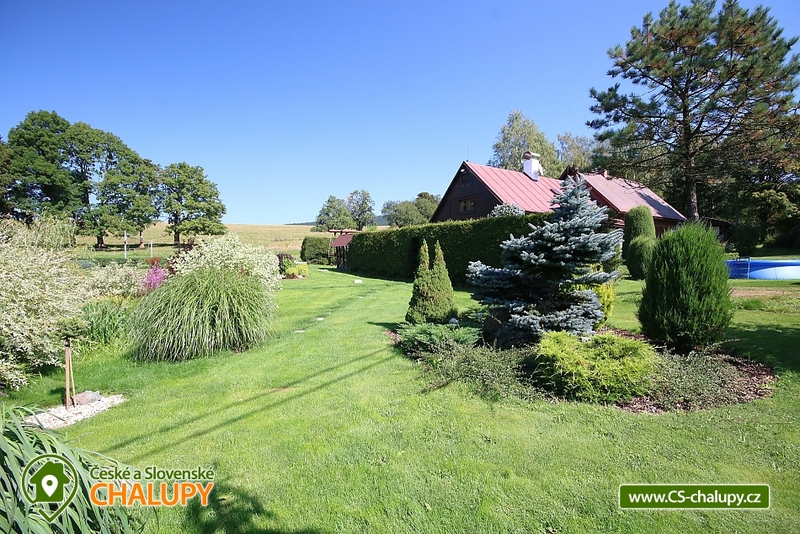 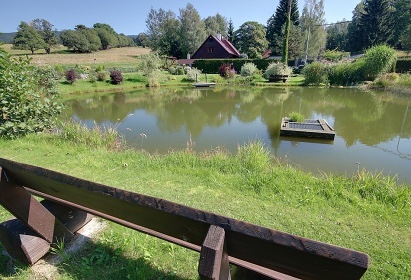 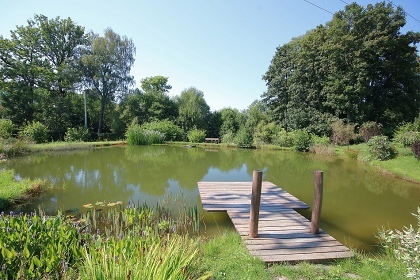 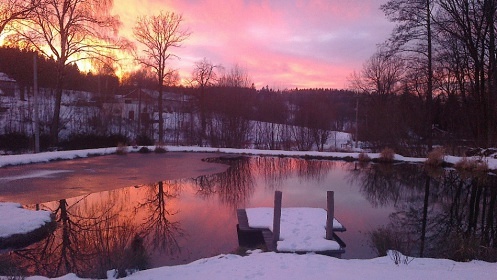 On the property own pond about 500 m2 with ornamental garden. Village Sedloňov is a small mountain village situated in the Hradec Králové Region 13 km east of Dobruška in the northern part of the Orlické Mountains. 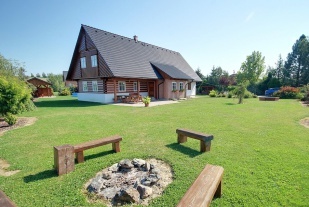 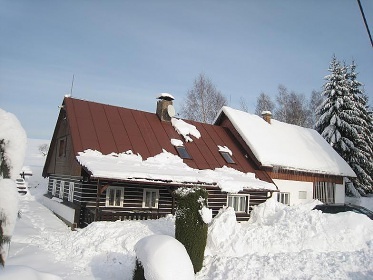 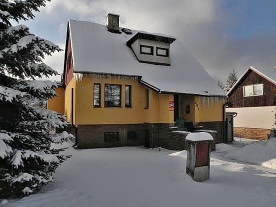 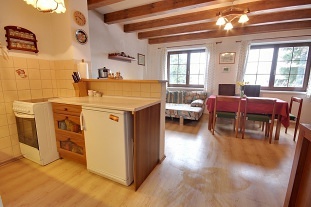 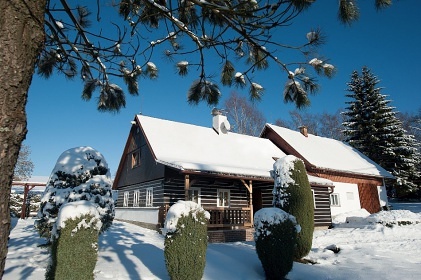 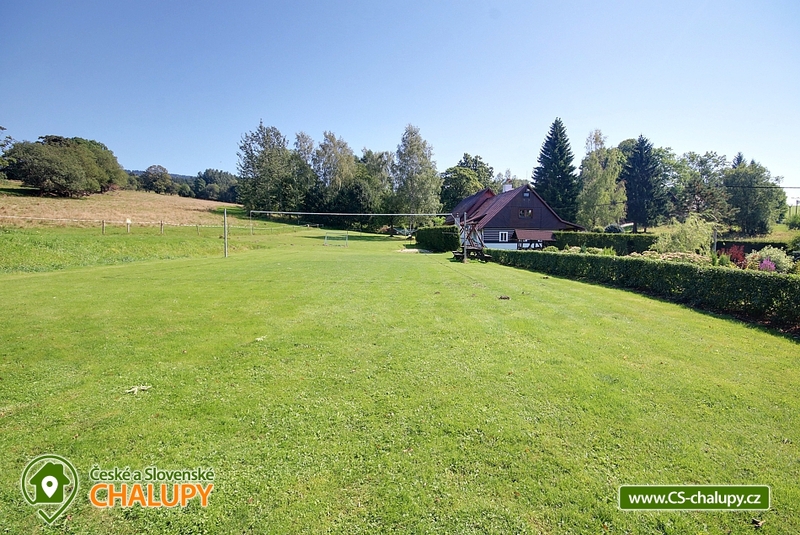 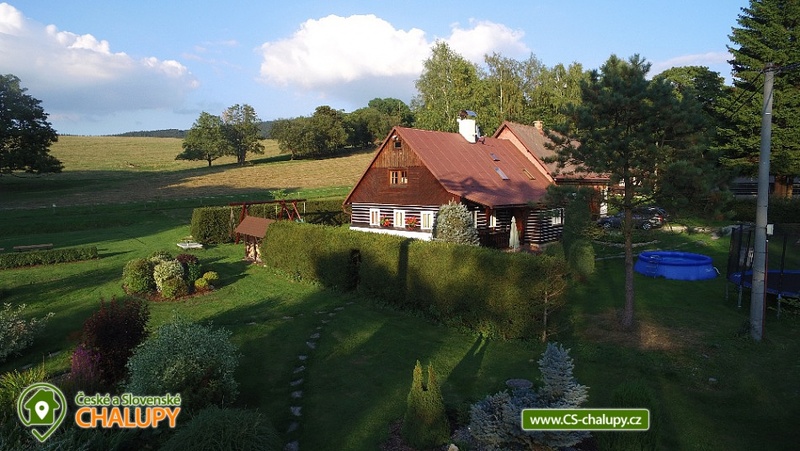 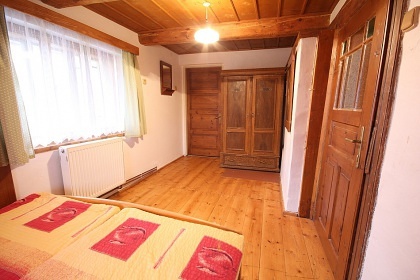 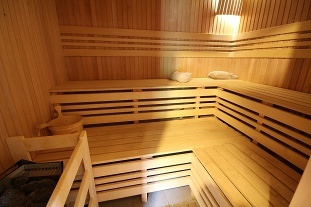 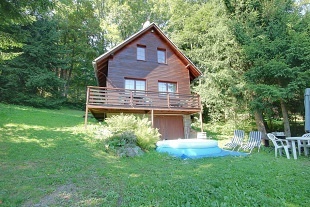 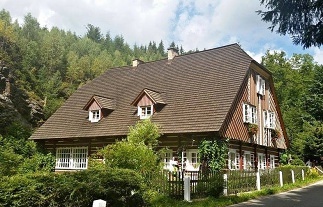 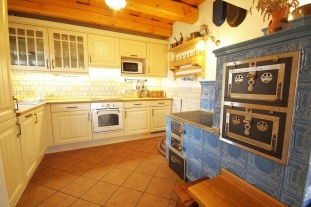 It is situated in the dramatic valley of the Zlatý potok. 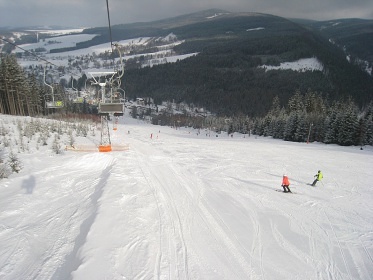 Part of the area is the PLA with two large reserves Bukačka and Sedloňovský vrch. 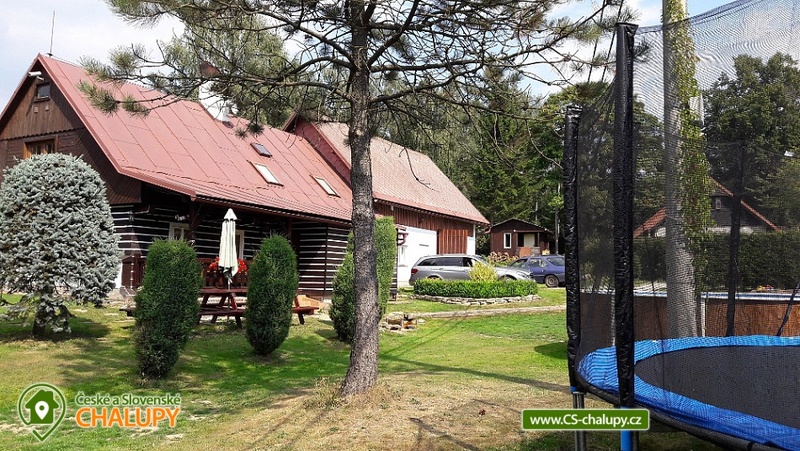 The area from 620 m above sea level increases to the height of 1050 m. The village has ideal conditions for recreation - picturesque wooded countryside suitable for hiking, winter in the vicinity with many ski areas. 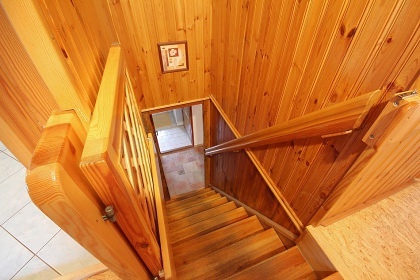 The forests are interwoven with hiking trails. 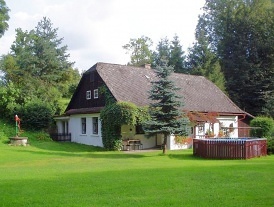 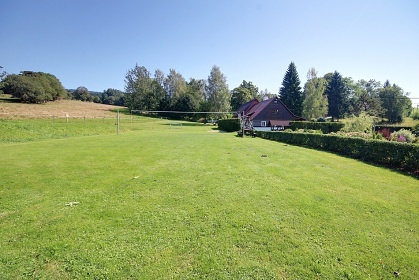 In the countryside there are mountain timbered cottages, mostly used for recreation. 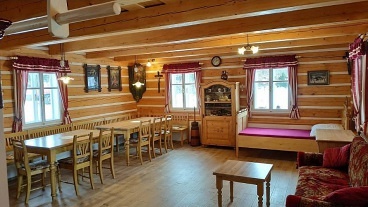 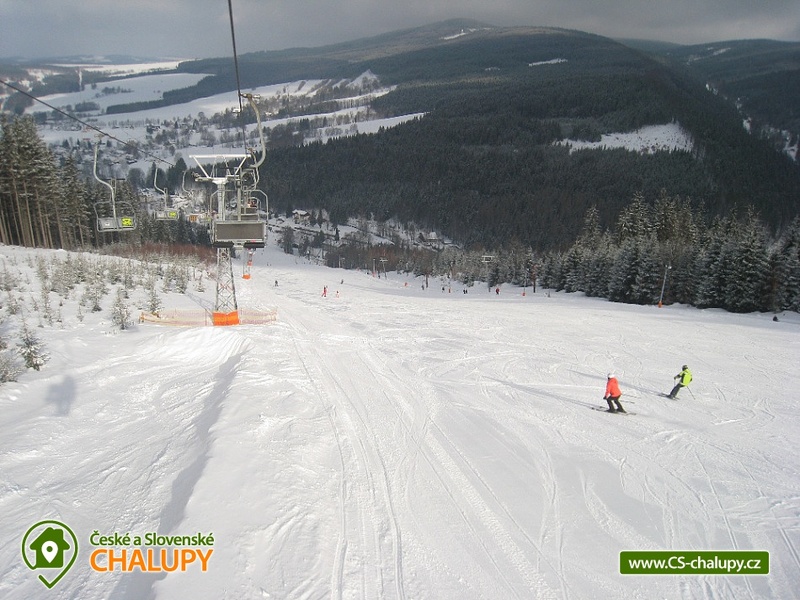 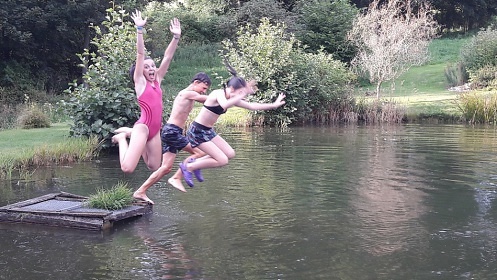 Only 800 m from the cottage there is a ski lift in Sedloňov with artificial snow and night skiing with a rental school and school, 5 km - ski center Deštné in O. 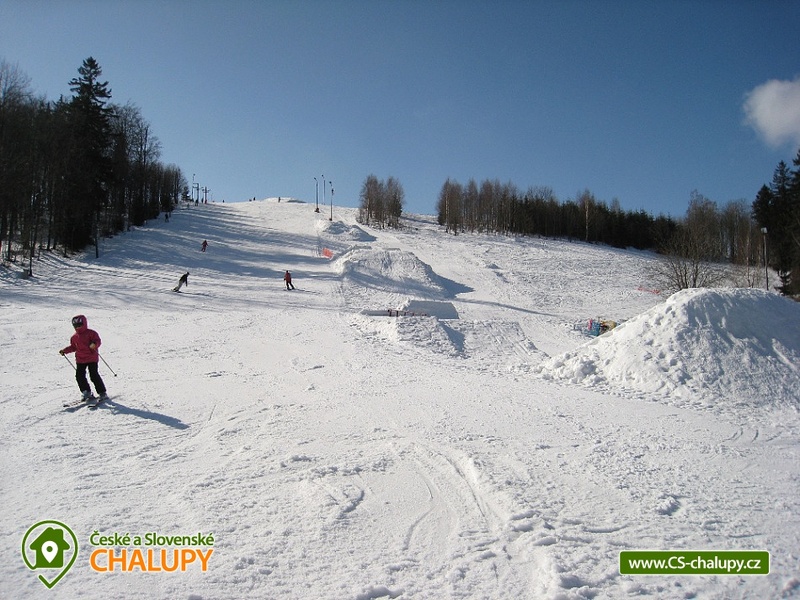 - in the summer rope center, 4 km SKI Areal Olešnice, 5 km SKI Areal Hartmann. Maintained cross-country trails right behind the cottage. 4 km fortress Skutina - bung fortifications from 2.sv. 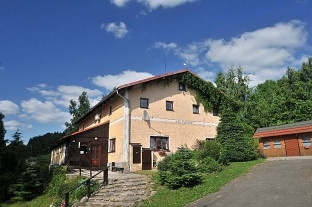 War, 20 km - Opočno Chateau and 25 km away is Rozkoš Reservoir.